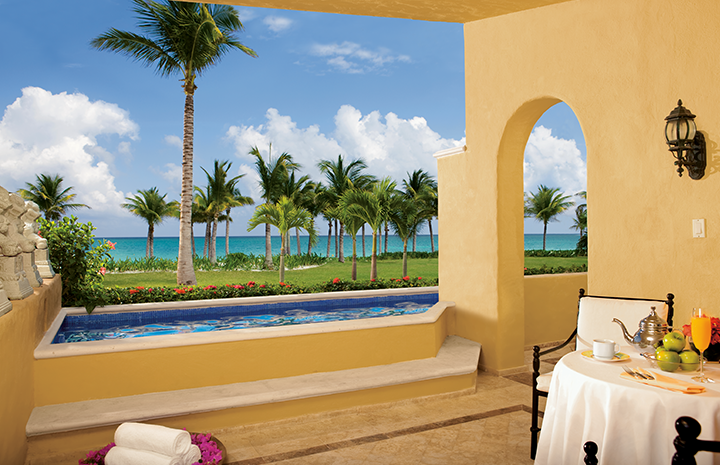 We LOVE a good plunge pool — it’s the top request we get for a honeymoon suite. 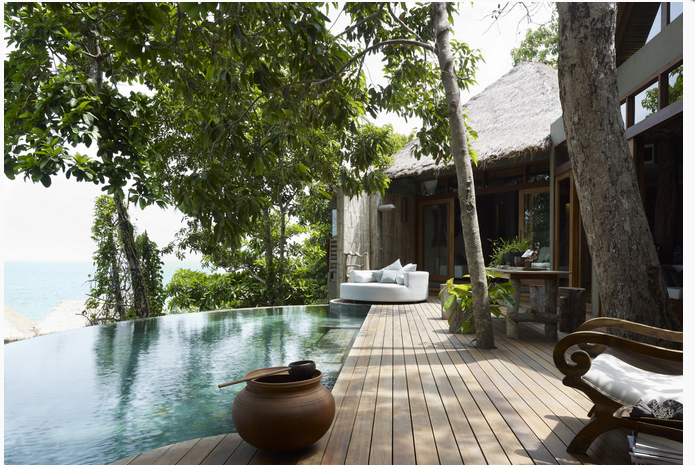 And with good reason: A fantastic plunge pools is the ultimate romantic indulgence, a place you can relax and connect away from the crowds (and splashing kids!) at the main hotel pool, and a nice retreat when you’re have your fill of beach time. But it’s also one of the biggest areas for potential disappointments, if you don’t get what you think you’re getting. We know this firsthand: We’ve experienced plunge pools that look great in photos but when you get there, the pool is only a few inches deep–more like a foot wash than a pool! Or the pool is set up in a way that you have absolutely no privacy, and are in clear view of all of your neighbors–not exactly a recipe for romance! Which is why having help finding the right retreat is so important–plunge pools cost more than traditional hotel rooms, and you want to be sure you’re getting the most from your investment! So when About.com Travel asked us for our take on ten heavenly plunge pools, we used our own personal criteria: The pool has to deep enough for soaking, private enough for snuggling, and pretty enough to take your break away. 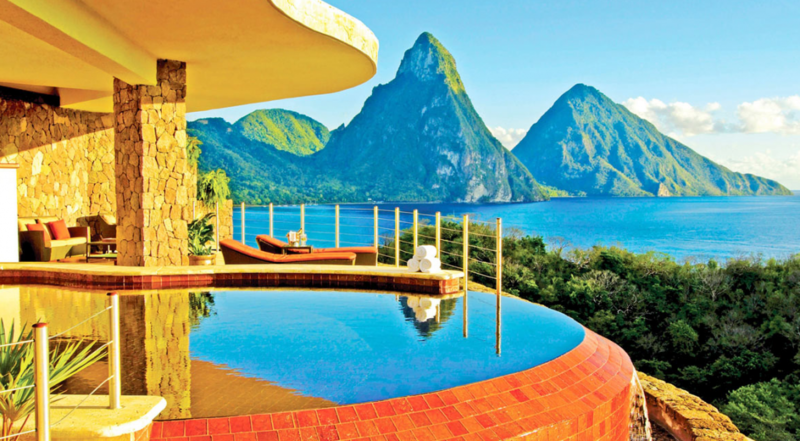 From Jade Mountain in St. Lucia to Song Saa Private Island in Cambodia, these all get The Honeymoonist stamp of approval! That said, there are amazing plunge pools all over the world! It was nearly impossible to narrow it down to 10, and this is by no means a final list. But if you’re looking for romantic inspiration, we think this list a great place to start! Need help finding the best one for your honeymoon? Let us know, we’d love to help!